Spider-Man: Homecoming movie is breaking records after records from its release in Early July this month. 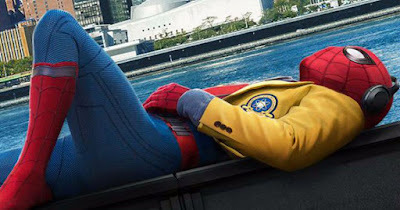 In Latest Update Spiderman Homecoming has grossed over $650 Million worldwide with a share of $280 Million domestically and over $370 Million overseas. Spider-Man: Homecoming is already declared as bigger hit than The Amazing Spiderman Movie although it still will not be able to beat the Tobey Maguire starrer Original Spider-Man trilogy. It was filmed with a production budget of $175 Million approx. Spider-Man Homecoming has a 8/10 rating on IMDB and 92% Positive Reviews on Rotten Tomatoes Spider-Man: Homecoming stars Tom Holland and Robert Downey Jr. and it doesn't seems like t that this movie is stopping anywhere soon in terms of making Revenue.